There is nothing worse than dry cornbread that gets stuck in your throat. That’s the reason I use a mix– I trust it. 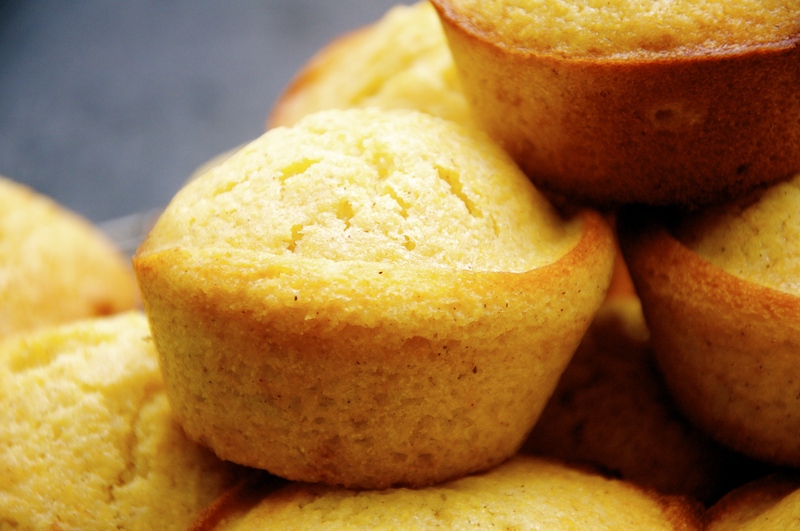 But trust me, these plush muffins are soft, fluffy, sweet, rich and moist. Yellow. Handheld. Still crumbly like cornbread. Moist and fluffy with a wonderful honey flavor. The recipe is so easy. Kids love the bright yellow color, not to mention the wonderful honey flavor. Bake a batch for Thanksgiving dinner or just because. 1. Preheat oven to 400 F. Grease muffin pan with cooking spray or line with paper liners. 2. In a large mixing bowl, whisk together the flour, cornmeal, sugar, baking powder, cinnamon, and salt. 3. In a separate mixing bowl, mix milk, eggs, honey, oil, butter and Greek yogurt. 4. Pour wet ingredients over the dry ingredients. Stir until just combined. 5. Spoon batter into greased muffin pan, filling each muffin cup about 3/4 full. 6. Bake for 12-15 minutes, until golden brown. 7. Drizzle with honey and add a pat of butter before serving.